Who or what is your biggest inspiration? Wow! This is a difficult question. One of my biggest inspirations I have to say would be Lucille Ball. She was a pioneer women for her time. The first female comedian on television. A great actress, entrepreneur, and mother. I just love her spirit and her sense of humor. As a teenager you were… shy! How do you start your day? I am completely guilty of checking all of my social media every morning before even getting out of bed. What is your biggest wish? My biggest wish is one of my favorite quotes, “to make a life I don’t need a vacation from”. What is your favorite quote? Shoot, I accidentally already answered this! On a Saturday evening I like to… go out for a nice dinner. Which is your favorite blog to follow? 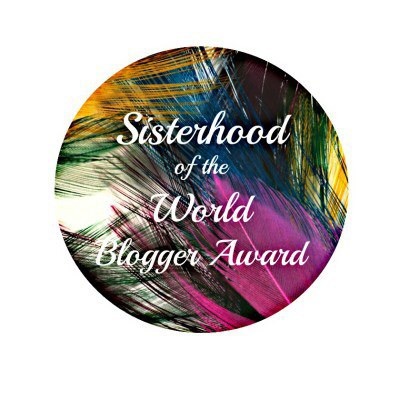 It’s so motivating to know that people are taking notice of my blog 🙂 The lovely Lulabelle Lately was so sweet to nominate me for this recognition. Here are her 10 questions and my answers. I hope you learn a little bit more about me! Make sure to check out her responses too. What ultimately made you decide to start blogging? I wanted a creative outlet; something different to do than my mundane day to day. Everyone always asks me for advice on places to go, restaurants to try, or even styles to check out. Whenever I’m going to do something, I always research every outlet to make sure I’m getting the best experience, so I figured why not provide other people with all of the fun stuff that I find. What is your favorite type of blog post to read? I am obsessed with fashion posts. Since I don’t think of myself as very daring fashion wise, I like to live vicariously through others. Favorite type of blog post to write yourself? Hmm… I would have to say that my favorite blog posts to write are about food. I LOVE to eat. Your dream place to travel to? Paris is on my bucket list. Whenever I vacation, I usually opt for the beach, but there’s something about the French culture and romanticism behind it that’s so appealing. Watching fireworks with the Eiffel Tower as a landscape would be my dream. Best tip for blogging? Not sure if I would be the best person to give any tips on blogging since I’m so new. 🙂 But I know I love to look at photos whenever I scope out other blogs. So my advice would be, include a few photos. Best memory as a child? Playing with my cousins. I come from a very large extended family so the few times that we would all get together to play are very special to me. Favorite season? Spring. Specifically that cusp when it’s almost summer. The days get longer and the nights slightly warmer. What inspired you to write your first post? Outside of your blog, what’s your favorite hobby? Your dream place to travel to? Must have in the kitchen?